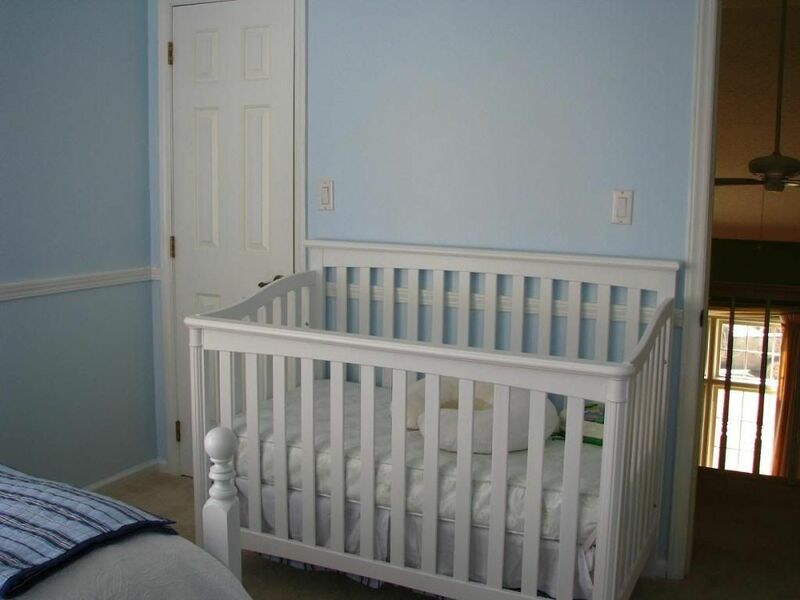 Mommy had big plans for Brody's nursery almost from the beginning of this pregnancy. With Evan, we created a cute and fun safari theme nursery, but this time, Mommy wanted a less themey and more classic, simple and sweet space. 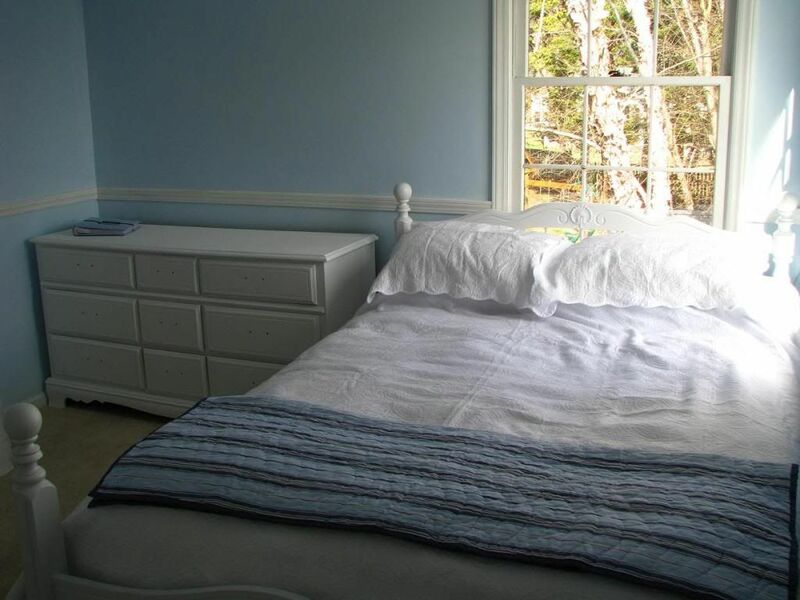 The room would still need to double as a guest room when family come to visit so we needed to keep the big bed in his room too. 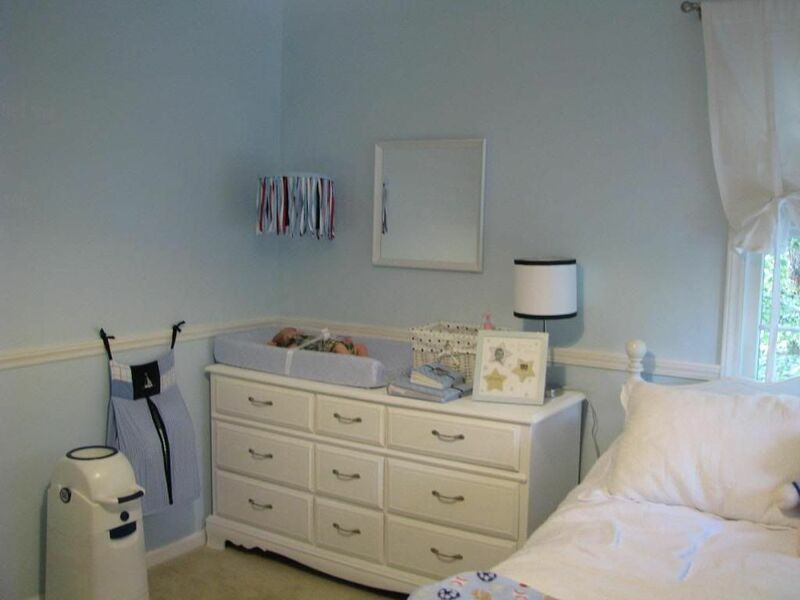 I really think Mommy had more fun doing this room than Evan's although she loved Evan's room and has been so tired this pregnancy that it has been hard for her to do anything. We are still waiting on a few more items for the room (like a bookcase and a few more wall decorations), but the majority of the work is done. 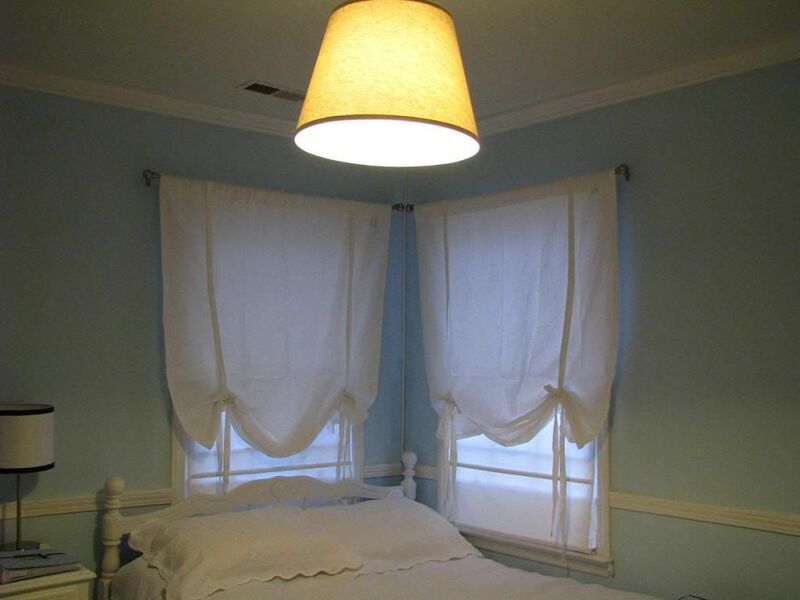 After Daddy painted the walls a beautiful baby blue and painted the old furniture a crisp white, the room begins to take shape. The crib gets assembled by Daddy. 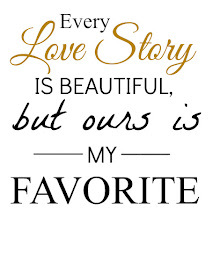 This beautiful wall decal from Etsy definitely says everything that Mommy and Daddy feel about Brody. Mommy's handmade ribbon mobile will give little man something to look at during diaper changes as well as being a neat art piece in the room. 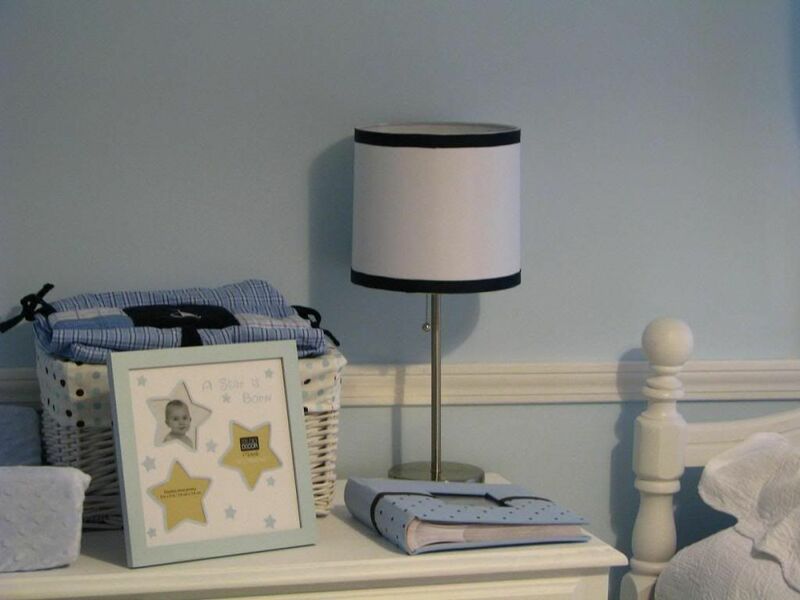 Some of these items will be moved to the bookcase to declutter the dresser/changing table. 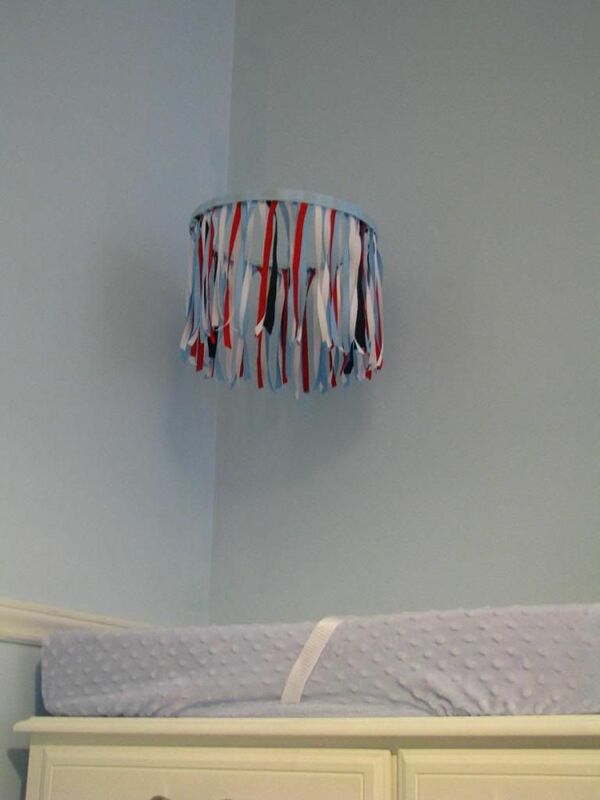 Mommy added a simple navy ribbon detail to this plain white lamp shade to tie it in nicely. 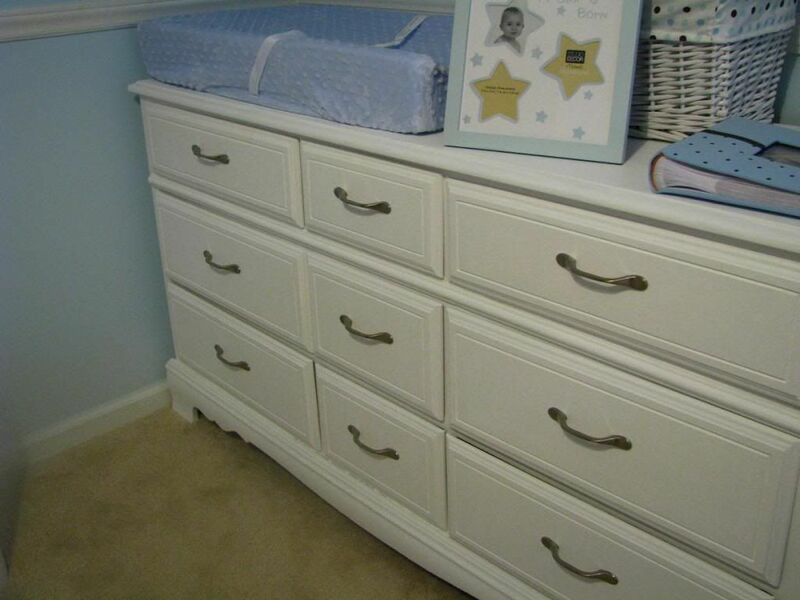 Daddy's hard work on the dresser definitely paid off with some crisp white paint and new brushed nickel hardware to make it look more modern and masculine. 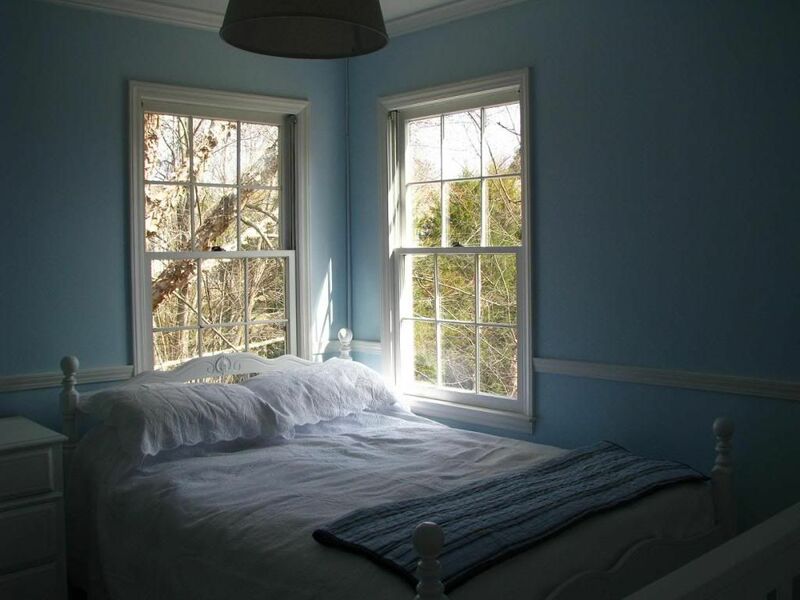 The bedding is simple and sweet. 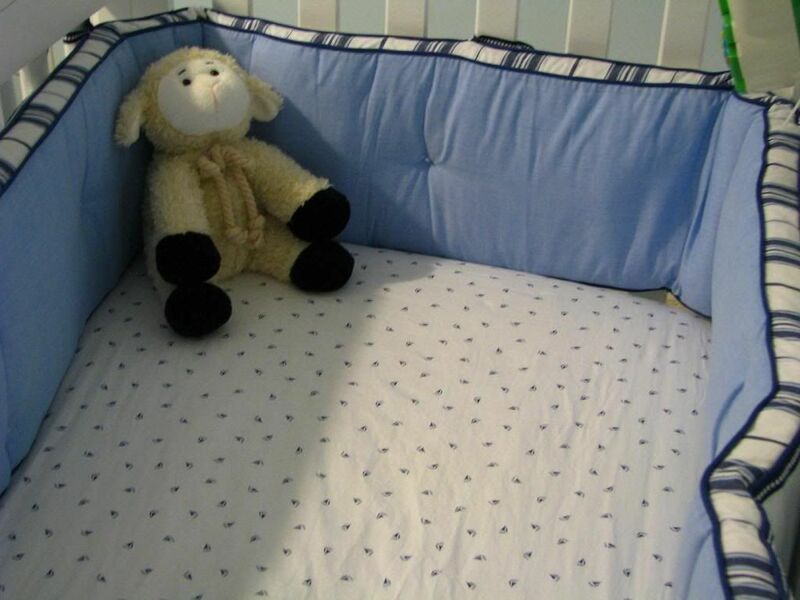 We ordered the bedding from Pottery Barn Kids but found a cute little nautical fitted sheet at BabiesRUs on sale. 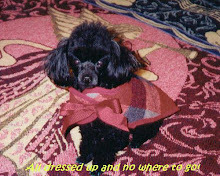 It is from a Nautica bedding line that was being discontinued. We also bought the diaper stacker from this set but haven't put that up yet. It tied in nicely to the Pottery Barn set. 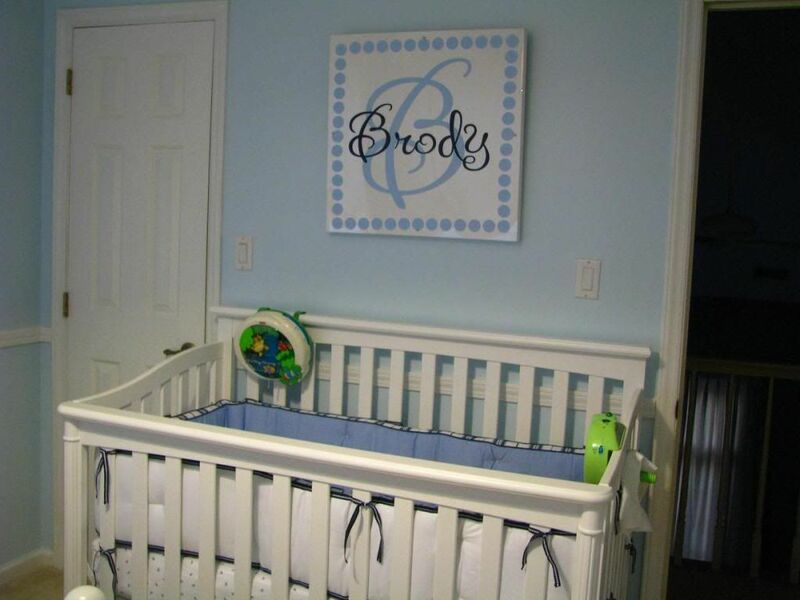 The crib with Brody's name art above. That is definitely Mommy's favorite part although it definitely caused a minor headache to install. 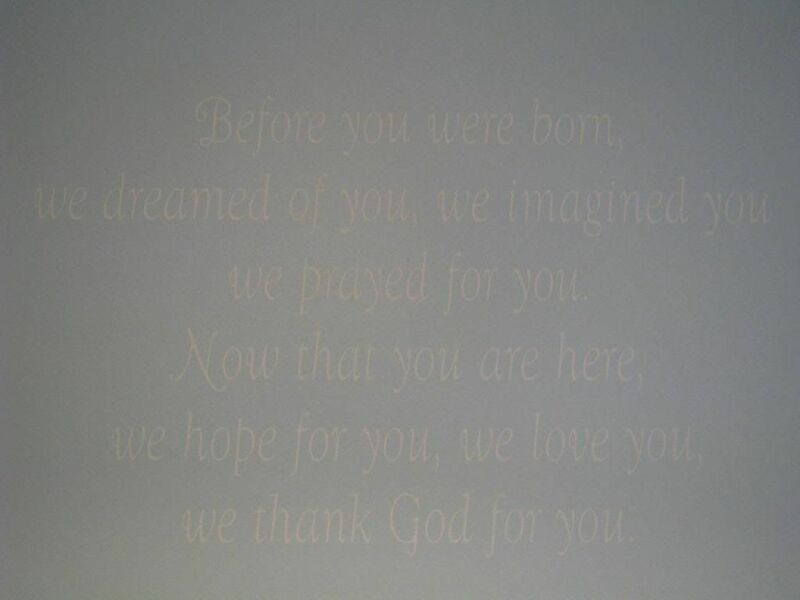 We ordered the decal from a great Etsy site called Open Heart Creations. 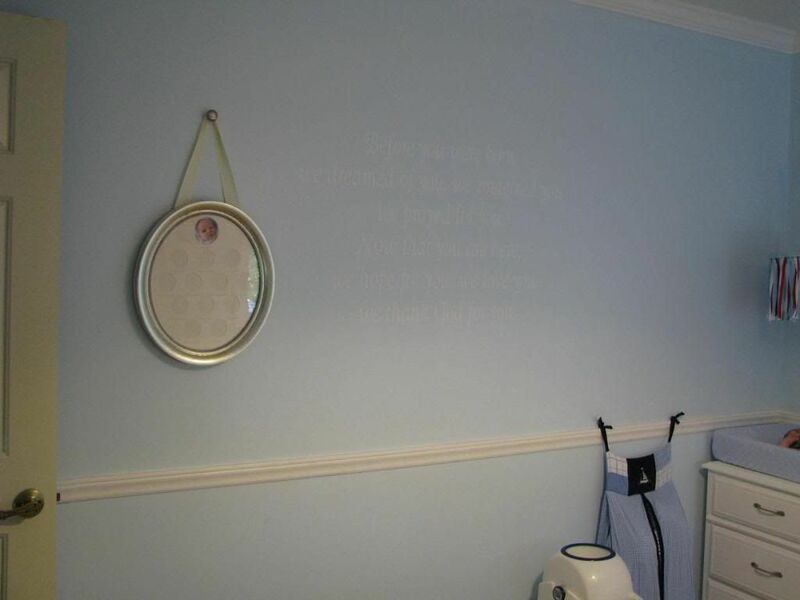 I had planned to put the decal on a mirror that I already had, but the decal was too big when it arrived so I had the idea to use an art canvas instead so that it would look like a piece of art that we can keep. I then realized almost too late that the decal wouldn't stick to the cloth canvas so I made a quick trip to Lowe's for a piece of plexiglass. I think it turned out great. 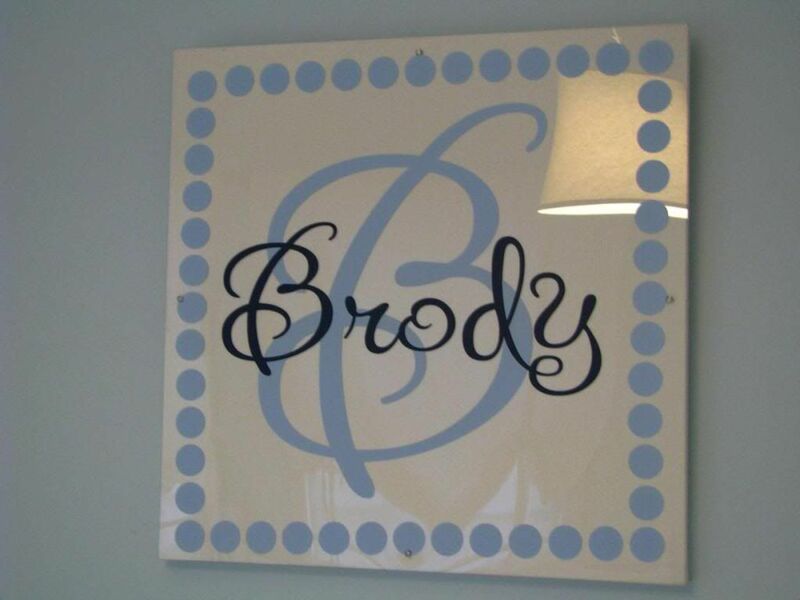 A close up of Brody's name art. 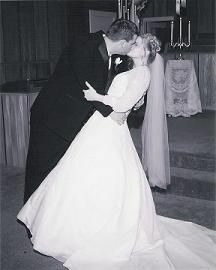 We added some special photographs to the room since Brody was born! 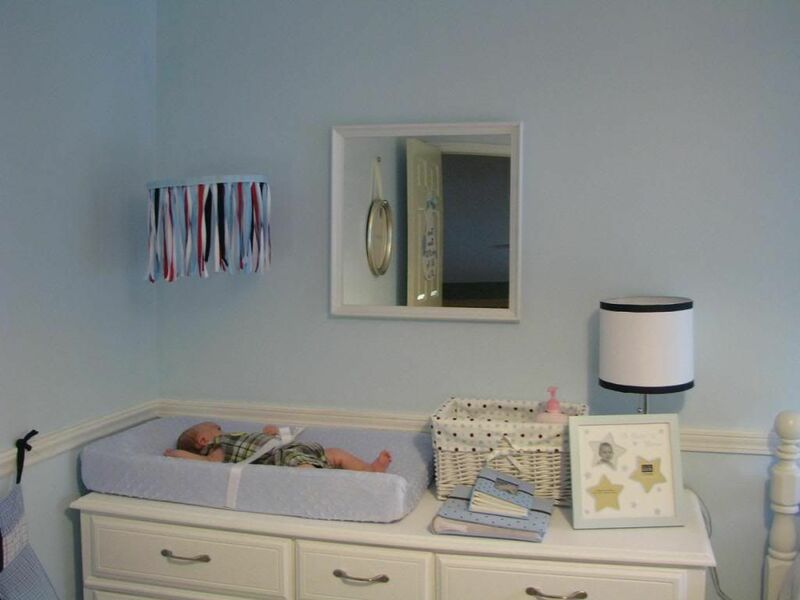 The changing table/dresser. We painted an old mirror we already had to go above the dresser. Yes, Brody loves lying on his changing pad. Brody's 1st year frame was another new addition to the room. 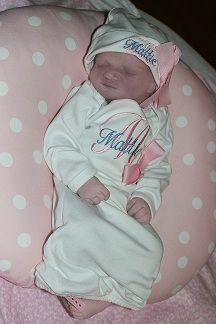 Thanks, Uncle Paul and Aunt Jessica!